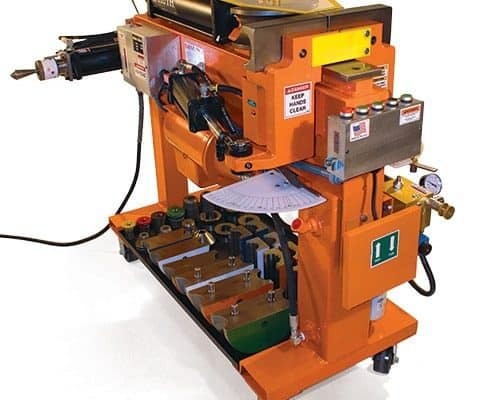 Model 2806 comes with a 5 horse power motor and provides 58,000 lbs of bending force. An optional 7 ½ horse power motor is available for 25% faster bending. 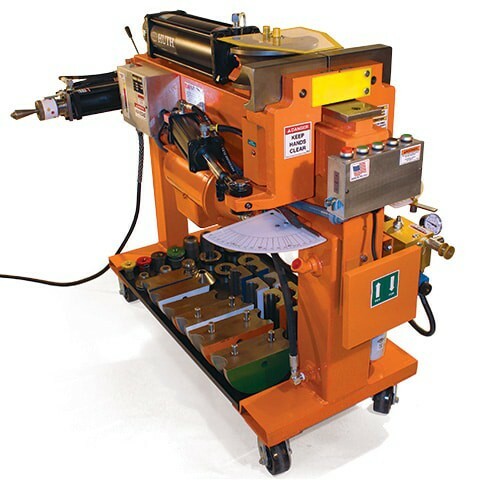 The 2806 bender is available with your choice of tooling packages. Shown with optional 028 Die Pkg.